Rashid Khaddege was an auto mechanic who lived in a town named Kfarmatta (pronounced fur-mat-ta), in Lebanon. Rashid was born in 1943. When he was 25, in 1968, a friend named Ibrahim picked him up to go on a car ride. Ibrahim sped towards the Mediterranean Sea and at a place called Military Beach, Ibrahim lost control of the car. Rashid was thrown from the vehicle, incurred head trauma, and was instantly killed. In nursery school, Daniel told teachers his name was Rashid Khaddege. In another incident at the nursery school, little Daniel pinched an attractive young teacher and made a suggestive remark. Daniel, as a child, was behaving like the adult Rashid. Eventually, Daniel’s father sent an acquaintance to Kfarmatta, to inquire about someone fitting Daniel’s description of a mechanic who died in an auto accident at Military Beach. The Khaddeges heard about the story and visited Daniel. When Ian Stevenson interviewed the two families in 1979, both said that upon their initial meeting, Daniel instantly recognized Rashid’s sister, Najla, and called her by name. When the families met, Daniel told his mother to bring bananas for the guests. Rashid loved bananas and his mother and sister stopped eating bananas after his death, because bananas reminded them of their loss of Rashid. Later on, during a visit to Kfarmatta, Daniel also spontaneously recognized Ibrahim, as well as Jijad, Rashid’s hunting buddy. Rashid’s family accepted Daniel as their son from a previous lifetime. They have a picture of him at their home and keep a bed for Daniel, who visits one to two times a month. Daniel has married and works as an accountant. Daniel has a phobia of speeding cars, which reflects the psychological trauma incurred by Rashid in the crash at Military Beach. 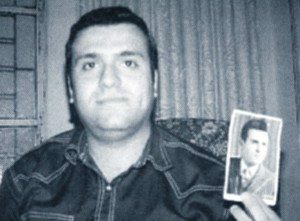 In the images provided above, Daniel Jurdi is holding a photograph of his own past life persona, of Rashid Khaddege. Click on the images to enlarge and your arrow keys to scroll up and down on the image. Like in the case of Suzanne Ghanem, which was also researched by Ian Stevenson, MD, a strong physical resemblance is evident. These Stevenson cases support the premise that facial features can remain consistent from one incarnation to another. Physical Resemblance in Reincarnation Cases: Daniel Jurdi has the same facial features as his past life persona, Rashid Khaddege. It is significant to note that Ian Stevenson first studied Daniel in Lebanon in 1979, when Daniel was 10 years old. He revisited Daniel in 1998 when he traveled to Lebanon with Tom Schroder, a journalist with the Washington Post, who was writing a book on Stevenson. In 1998, Daniel was now 29 years old and it was only at this point in time that Stevenson realized that Daniel has the same facial features as Rashid. This study shows that we continue to accumulate new evidence involving cases that have been evolving over decades. Relationships Renewed through Reincarnation: Daniel’s past life family, the Khaddeges, have accepted him as the reincarnation Rashid and they have kept a bed for him, so that he could stay with them. Phobia from a Past Lifetime: Daniel had a fear of fast-moving cars, which appears to stem from his past life death as Rashid Khaddege who died in a car crash. Spirit Beings in Reincarnation Cases: Daniel said he remembered that after being thrown from the car, a person who came to assist the victims said, “Leave this one, he’s dead.” (4) This memory implies that Daniel, as a spirit being, was able to witness events after his death as Rashid. Note to Readers: Ian Stevenson. MD, was a Professor of Psychiatry at the University of Virginia who wrote in a very academic style, as his target audience was fellow scientists. On the Reincarnation Research web site, his past life cases are presented as children’s reincarnation stories to make his academic work easier to understand. 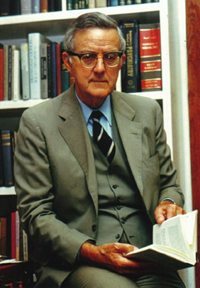 For those interested in appreciating the scientific rigor of his research, such as his use of multiple witnesses to establish corroborated testimony, please refer to the original reports written by Dr. Ian Stevenson.